This $20,000 award is being used as seed money to establish a research center – Architecture Center for Responsive Enclosures (ACRE) – to advance the design of sustainable building envelopes. Following the Bloomberg administration’s PlaNYC 2030 to substantially increase the energy performance of New York City’s buildings, our research targets innovative façade strategies that are highly energy efficient, generate on-site renewable energy, and produce a new vocabulary for sustaiable construction. Building integrated solar thermal systems (BIST) is the first of several emerging technologies investigated and prototyped by the program with a bi-yearly commitment to design, manufacture and test a large scale building component. Our objectives will be accomplished by combining Pratt’s knowledge base in digital design and fabrication with the advanced engineering expertise and resources of professional partners and industry. 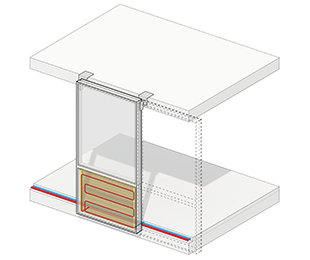 Current solar thermal technologies such as vacuum tube, flat plate and roll bond collectors are adapted to create responsive building skins. 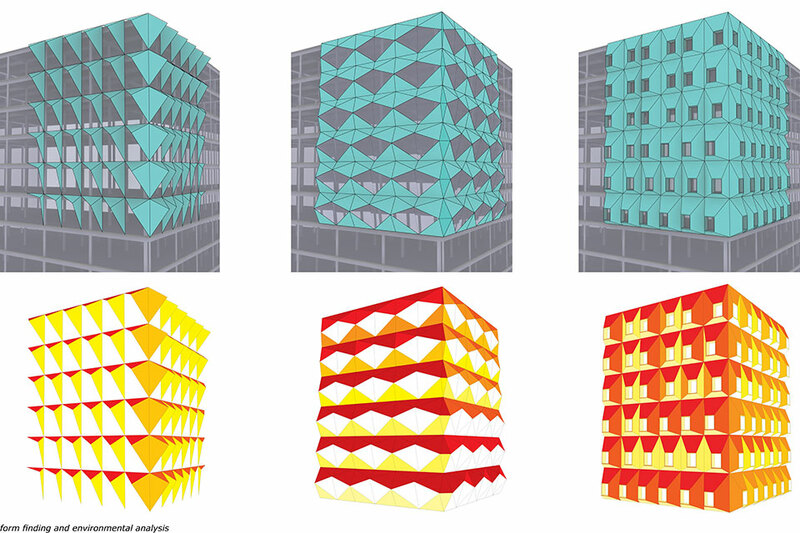 Using environmental analysis paired with geometric form finding, unitized façade assemblies can be made to capture, distribute and store thermal energy. Two applications will be investigated to address PlaNYC: an over-clad system retrofitting older buildings, and a high performance curtain wall assembly for new construction. Designed in collaboration with Simone Giostra.